With the release of Assassin’s Creed Origins just a few weeks away, a new series of 10 animated shorts from Heat is bringing the world of Ancient Egypt to life with a decidedly modern sense of humor. Tales from the Tomb uses scenes re-created from real Ancient Egyptian art to imagine how everyday life might have been affected by the presence of sinister secret Orders and acrobatic Assassins. From a conversation outside the gladiator arena about the use of performance-enhancing mummy dust to a glass-bottomed boat tour of the Nile interrupted by a certain Assassin’s underwater antics, each short also includes gameplay footage showing off the world, combat, and characters of Assassin’s Creed Origins. 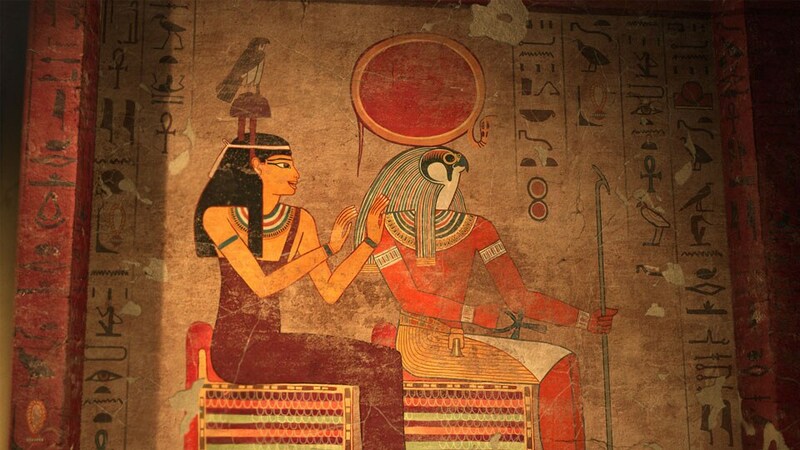 You can also look below to see the original Ancient Egyptian artwork that inspired the animated shorts.